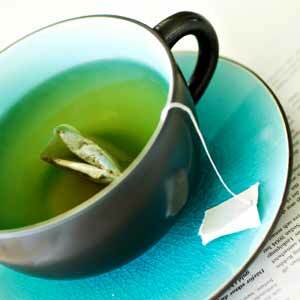 Green Tea – who’d have thought it? I’m a coffee loving kind of girl. In my prime I would be ordering an early morning, pre-travel gigantic 5 shot latte. How I loved them, they nurtured me from the passive state of near-sleep to the pre-dawn meeting prep that a long train journey brings. I still love coffee, but tea has sneaked in over the years. Current favourites are Lipton’s Moroccan Spiced, any Earl Grey and any type of fruit tea. I avoid peppermint and camomile, they’re just too horrible to contemplate as I can’t get passed the smell to sip them. Green tea used to live in the latter category, but slowly and surely I’ve begun to integrate it into my daily beverage intake. If I’m feeling particularly pious, I even drink it before that all important first cup of coffee. But that’s pretty unusual if I’m honest. Put it down to trying to adopt a healthier lifestyle, cutting back on caffeine and upping the water levels. It still isn’t great – I never think, “mmmmm, that cup of green tea really hit the spot”, but I do want to believe it’s doing me good. I just wish it tasted a little bit better. I,m. There with you regarding green tea, although I still have the odd cup throughout the day, I have found green tea capsules, one everyday does the trick, I,m out in the garden 6am doing all the spiritual movements.